WOW. 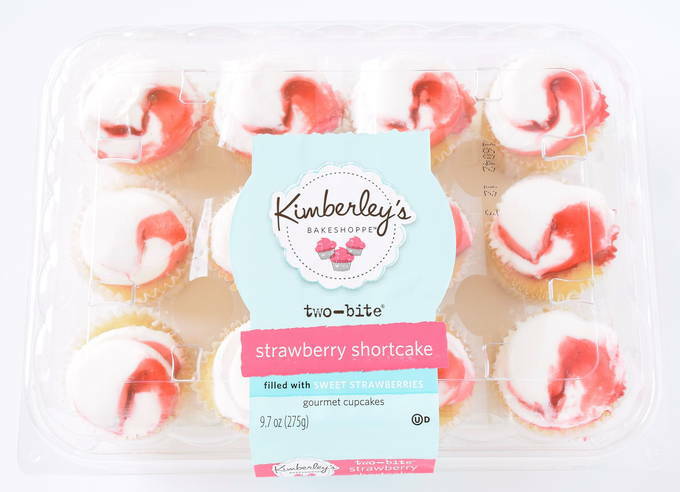 That’s the word we kept saying over and over – after we ate one of these little two-bite strawberry shortcake cupcakes. 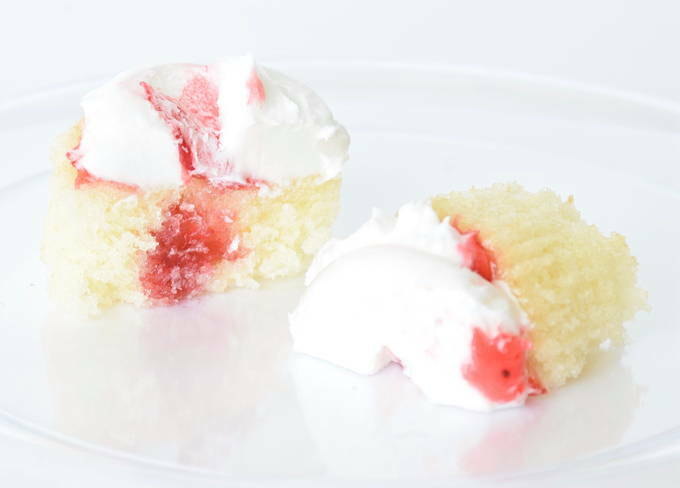 The surprise when you bite into these cupcakes – is the filling inside. It is made with real strawberries – you can see the seeds. The frosting is light and delicate – airy. It is smooth, creamy, and perfectly sweet. LOVE the frosting. The vanilla cake is very moist. It didn’t really need frosting to be good. Delicious. 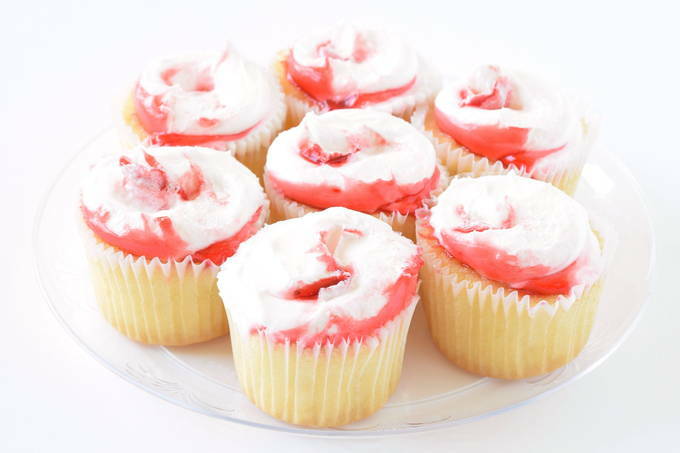 This is truly a gourmet strawberry shortcake cupcake. It was impressive. WOW.